Lascar Electronics created PanelPilotACE, a new hardware and software display platform that enables the rapid development of fully customised industrial and commercial user interfaces and panel meters. PanelPilotACE’s combination of a multifunctional touch-screen colour display with simple drag-and-drop design software removes the need for any coding, cutting development time for even the most advanced displays by months. 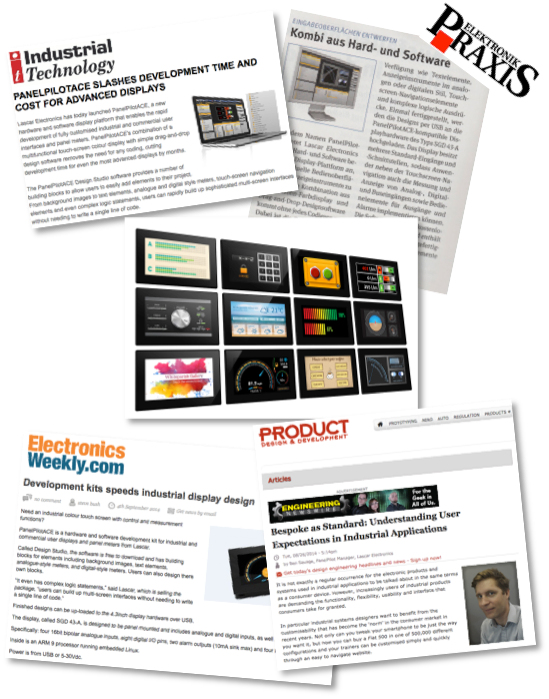 Wildfire was brought in to launch PanelPilotACE – a new panel display that created a new product category in an established electronics market.